The holiday season is just around the corner, and I’m so excited to be a contributor to the Guideposts collection, A Cup of Christmas Cheer! I’m especially excited to kick off our author blog posts today and share about my short story, “Ring of Kindness,” which is included in Volume 4 – Heartwarming Tales of Christmas Present. “Ring of Kindness” is a modern-day tale set in Cincinnati, Ohio. Christmas brings fresh feelings of loss for a young widow as she grapples with the death of her husband. Her sorrow is punctuated by the fact that during their last Christmas together, she lost her wedding ring. When she receives a random act of kindness from an elderly man at the grocery store, she sets out to pay it forward by offering her tree and ornaments to a family whose house burned to the ground. In focusing on bringing holiday joy to others, she receives more than she could have imagined…and learns that God restores what is lost when our hearts are open. 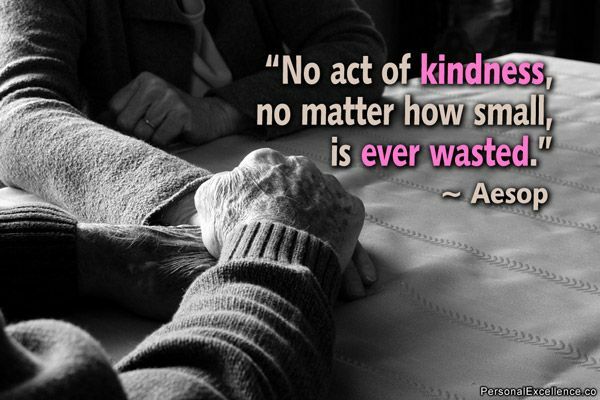 The pay-it-forward concept came from my experiences volunteering at a Christmas outreach event at my church. God opened doors for me to pour into a family more than I’d anticipated, and I found a huge sense of joy and peace at being able to pass the blessing on. My prayer is that readers will come away from this story with a greater awareness of the needs around them. When we open ourselves up to “passing it on,” God always returns the blessings tenfold, often in unexpected and miraculous ways. Every year from infancy through high school, my grandma gave her grandkids a new ornament. I still have all 18 of mine tucked safely in a box. I’ve since started the tradition with my own kids, giving them an ornament that represents something about them each year. There’s nothing sweeter than putting their ornaments up next to my childhood ones at Christmastime, especially against the backdrop of twinkling lights. 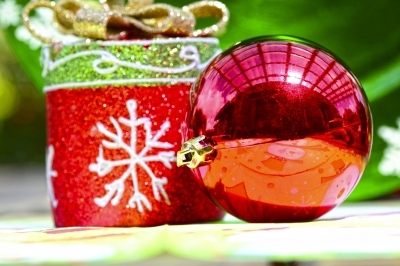 What is the most unique ornament that will grace your Christmas tree this year? What ornament holds the most memories? I’m offering a $10 Amazon e-gift card to one lucky winner! Congratulations to Cynthia H, winner of the giveaway! 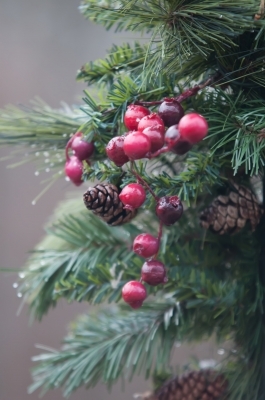 Wishing you a joy-filled Christmas season! Check out the Giveaways page on our site to learn about our Goodreads giveaway. 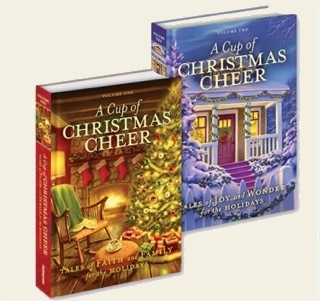 We’re offering five sets of A Cup of Christmas Cheer Volumes Three and Four. SARAH FORGRAVE is a work-at-home mom who feels blessed to do what she loves—raise her two children while writing stories that inspire. In addition to A Cup of Christmas Cheer, her writing credits include contributions to the webzine Ungrind and the Pearl Girls™ book, Mother of Pearl: Luminous Lessons and Iridescent Faith. When she’s not writing, she enjoys teaching fitness classes and sipping hot cocoa with her family in their Midwest home. You can learn more about Sarah on her website at www.sarahforgrave.com. See my Pinterest board for “Ring of Kindness” here.